Your voice is the springboard for your personal brand. We are all shaped with unique perspectives for a reason: to be meaningful contributors to business and society. The lens through which we experience life provides the filter and foundation from which we offer value to others. Shaping our unique voice requires that we understand the most valuable and powerful ways in which we connect to and communicate specific, situationally-based information or ideas. The late Stephen R. Covey called our voice “unique personal significance – significance that is revealed as we face our greatest challenges and which makes us equal to them.” Other thought leaders equate voice to our unique value proposition – what we offer to those we serve, personally and professionally. Voice = Sharing our gifts, passion, knowledge and perspective to promote empathy, growth and ease-of-life for others. Where we believe there can be positive change. + How we believe it can be achieved/realized. Your voice not about what you are (titles) or what you have been through or overcome (transcendence); it’s about who you have chosen to become, having lived through your unique experiences. It is the conscious offering of a value proposition that stems from there. 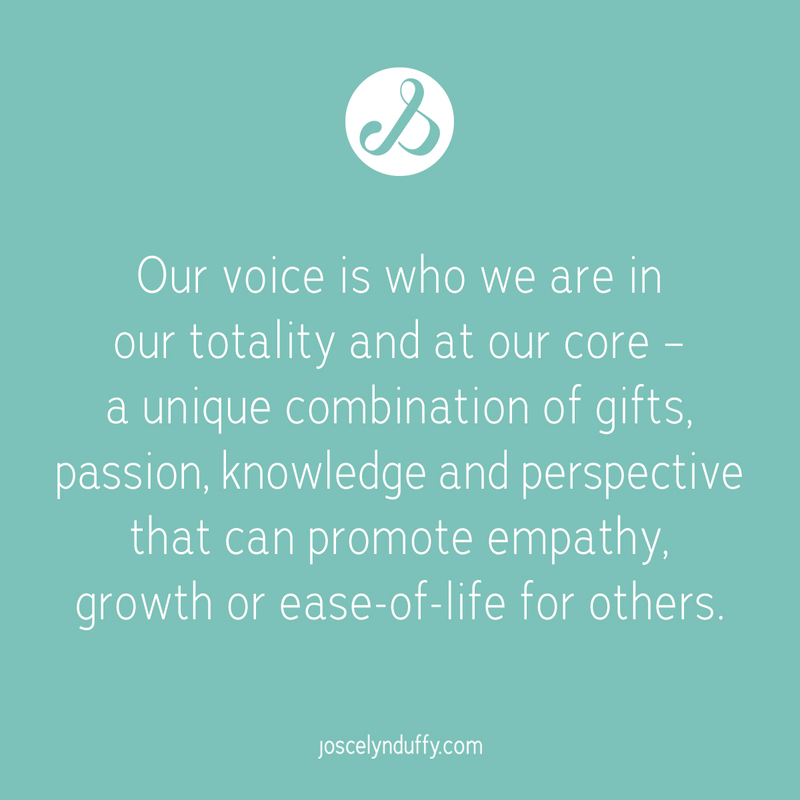 Our voice is who we are in our totality and at our core – a unique combination of gifts, passion, knowledge and perspective that can empower others to realize greater empathy, growth or ease-of-life. Our voice is who we are in our totality and at our core. Their beauty stems from their experiences. What makes our voice unique is that it is communicated from our perspective on and interpretation of life (our “life lens”), which is based on our individual composite of experiences. This makes us each a uniquely valuable contributor to the whole, sharing insight, knowledge and wisdom needed for the growth, advancement and transformation of others. 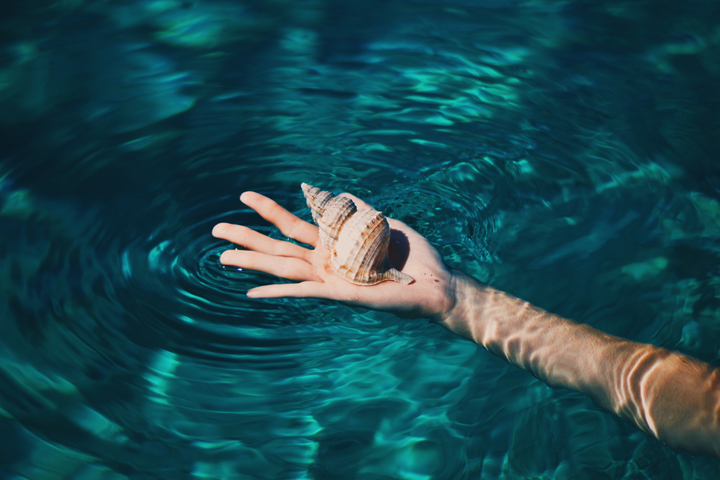 Contributing our unique voices to the whole of humanity (or our company, community or family – wherever we focus our time) is the same as the culmination of seashells on the beach. Individual beauty and value forms collective beauty and value. It takes our individual voices to form a powerful, all-encompassing whole. On the beach, no seashell is better or more beautiful than the other. Every person who walks on the beach will be drawn to different sea shells. This simple point is to say that we are all equally valuable in the gifts, passion, knowledge and perspective we have to share. There will be people who are drawn to each of us because of our how our unique voice resonates with them. The important point is simply to share your voice – to showcase personal or universal truths – so that it may be heard by those who will be drawn to learn from you. How then do you find your voice? The conch (large seashell) presents a great metaphor for finding our unique voice (our value). The seashell has developed with a notable point on both ends (a beginning and end, just as we have). The magic happens in the middle – the point of greatest depth and space (where the sound is created when you listen to the conch). When you hold the conch up to your ear, you hear a depth of tone of seemingly great enormity – the sound of the surrounding environment resonating within the shell (not “the sound of the ocean,” as the old myth would have it). The sound is similar to that produced by any “resonant cavity,” such as cupping your hands over your ear. Like the seashells, we too are resonating chambers. On a deeper level, the world is resonating within each of us, and we are interpreters of reality. Our voice is how we interpret and communicate how we see the external world…which is based on our unique perspective (shaped through our composite of experiences, innate attributes and what impassions us). 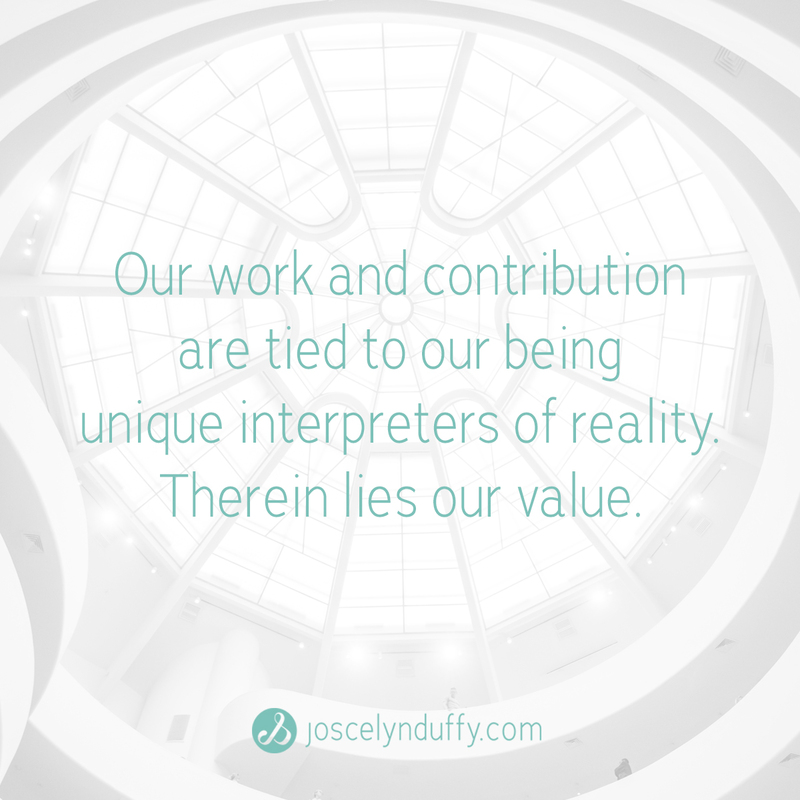 Our work and contribution are tied to our being interpreters of reality. Much like resonating chambers, we experience reality, digest it, interpret it, filter it and then communicate back what we’ve experienced and extract from those experiences (i.e. our message, idea or story). When you listen into a larger spherical seashell, it has a unique tone and style, all based on the way it was shaped from its experiences in the ocean. Likewise, the unique tone, style and brand of your voice is shaped from your experiences. Interestingly, the conch is also used a musical instrument. It is described by instrument maker Bart Hopkins as “producing warm, full, and far-carrying tone.” That is what our unique voice is intended to be: an echo of the external world, filtered from within us, in a way that is warm, full and far-reaching (i.e. one that offers value and deep impact for others). The word “conch” itself stems from the Latin concha, meaning “mussel.” Our voice is a “muscle” of a different sort – one we must find, hone and develop through communication and/or a vocation. Finding our voice is a journey of great conscious intention and purpose. It requires a balance between introspection and interaction with others. 1. Observe: We find our voice when we take the time to self-observe (to listen within, like hearing the external environment resonating within a seashell), understand how the external world resonates within us, and grasp our unique interpretation of life (i.e. the value that we can then contribute). How have you processed what you have experienced? What have you extracted from your adventures and adversities alike? How do you currently digest, assimilate and disseminate that knowledge and information to others? In that dissemination, what facets resonate most with you (passion) and resonate most with others when shared (value)? 2. Understand: We find our voice by becoming greatly self-aware – by understanding what aspects of life resonate most with us and how we interpret or transform them. What do we deeply understand or have profound knowledge of? How do your experiences fit together as whole? How have all of these factors shaped your unique perspective (our “life lens”)? What valuable knowledge, wisdom or insight have you extracted from our experiences (or can we extract from our experiences)? What is the unique value create when you share what you have extracted from your experiences? i.e. How can you enrich the lives of others by sharing what you’ve learned? What have our experiences taught us that has made the biggest difference in our lives? Can what we’ve learned help provide ease-of-life (or ease-of-business), growth or transformation for others? How has our offering impacted those we serve and support? Ask your clients to tell you. Testimonials are a great way to discover your value and gain clarity of your unique voice. Others will tell you what you are gifting them. Watch for appearance of similar words, phrases or terms over and over – they are describing your unique value. Whether we focus our main objectives or goals in life around experiences, love, success, fulfillment, legacy or other, every single one of these facets requires learning. We are all designed to be digestors, processors and disseminators of information. In conversation and communication with those close to us and those we serve in business, we are constantly sharing what we have learned or asking questions to extend our learning. This is the essence of having a voice: digest, process, disseminate, reassess, refine. I challenge you to embrace the challenge. Listen inside, learn and let everyone know the magic that you’ve discovered. 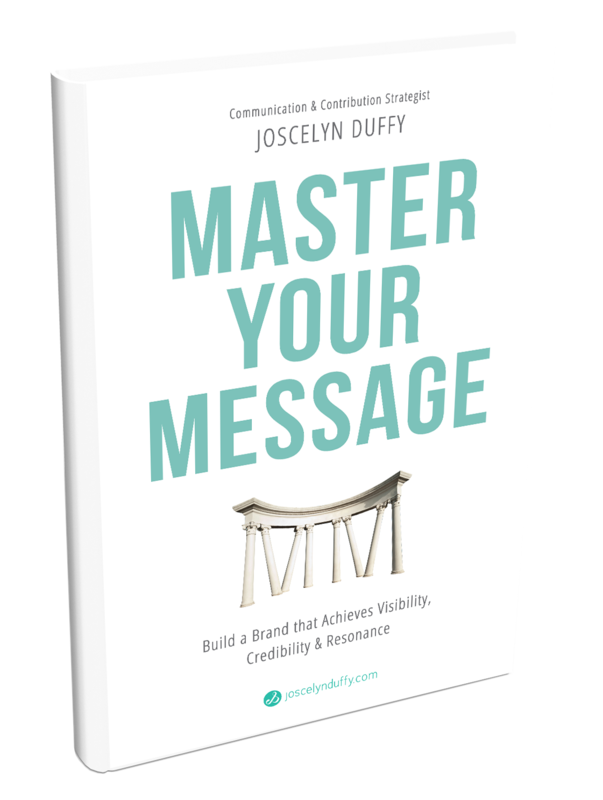 For tips of communicating your voice, get your FREE copy of Communicating Value: 5 Steps to Increasing Long-term Visibility and Viability in Business HERE.